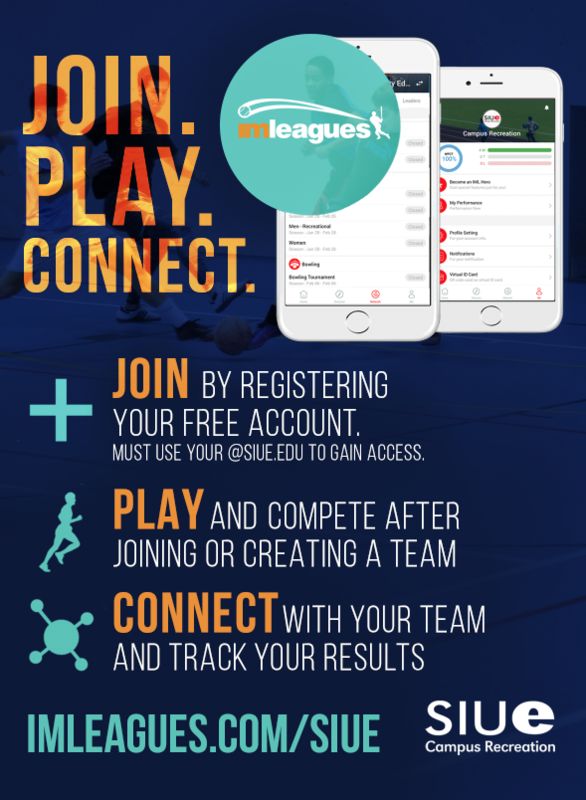 First time participants must create a new IMLeagues account using an SIUE email address. Follow these instructions to create your account. Start at the SIUE Intramural homepage to see the sports currently offered. Under " Active Sports", choose the Sport and League you wish to sign up for. Click " Create a Team" or " Join a Team". Complete the required information and agree to the Terms and Conditions. Click " Submit" and then " Go to Team Homepage". From here, other players with completed profiles can be added to your team's roster. If payment is required you will be taken to a PayPal page to process your team fee and forfeit fee. Both are required for team approval. 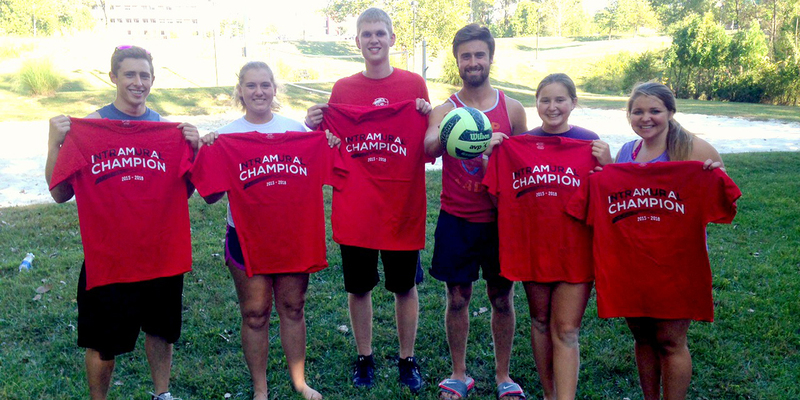 If you are a free agent looking for a team, contact the Intramural/Club Sports Office at 618-650-3274. Note: All captains meetings are held online via www.Imleagues.com/siue You must watch the presentation and pass the online captains quiz. Paid to officiate all sports. On-campus job with flexible schedule and advancement opportunity. Develop and strengthen your skills in self-reliance and conflict resolution. Meet new students from across campus and make new friends! Be active and have a blast! Join the stripes team! Contact Joseph Carrillo (jocarri@siue.edu) or Tom Dougherty (tdoughe@siue.edu) for information about hiring to become a student intramural sports official. For more information, please call or email Tom Dougherty (tdoughe@siue.edu) or 618-650-3245.